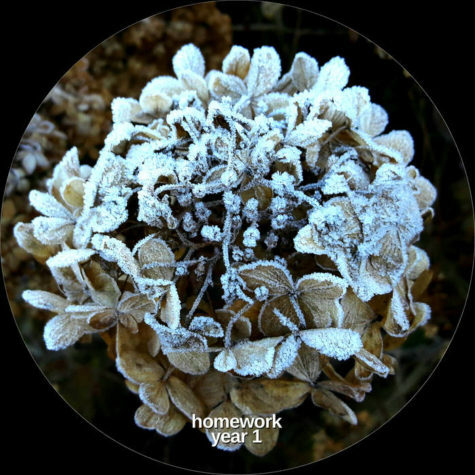 “homework – year 1” is the first volume in an ongoing series of compilations which will hopefully be released at the end of each year and will gather unreleased tracks recorded/finalised during the year by as many taâlem artists as possible. inspired by this concept, we’ve asked every artist who had a release on taâlem during these past 15 years to contribute an unreleased track recorded/finalised in 2016.
a total of 52 artists have sent us a track for this first edition. most are still active, some have changed their project name, others got back from their retirement for this occasion! we have unfortunately not been able to gather everyone… some artists have stopped creating music, some have disappeared, others we lost contact with and couldn’t get in touch again, others didn’t have enough time to contribute… we’ll try to gather even more artists next year!